As previously mentioned late last week, the first glimpse of gameplay for Atelier Escha & Logy: Alchemist of Dusk Sky has debuted earlier today on Nico Nico Live broadcast. Atelier Escha & Logy is a unique title among its peers, as you will be able to choose between two characters with two different styles of narrative. If you happened to miss it, or weren’t aware, some kind Youtuber happened to record the entire footage, all 46 minutes of it, now available for your viewing pleasure. 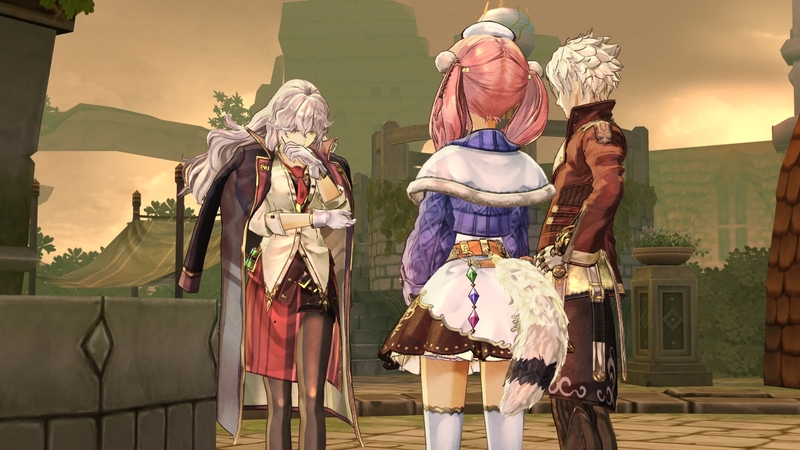 Check out the gameplay of Atelier Escha & Logy preview below. Atelier Escha & Logy: Alchemist of Dusk Sky is a PlayStation 3 exclusive and will be released in Japan on June 27th of this year. Hopefully a localization announcement isn’t too far off.